As it often does on a Monday, Apple threw out the third beta of its upcoming iOS 8 software a short while back, and although the changelog mentioned the usual bug fixes and general performance enhancements, the Cupertino giant has also delivered a little treat for those rocking an iPhone on T-Mobile U.S. As of iOS 8 beta 3, those subbed to the popular carrier can enjoy Wi-Fi calls, and apparently, the clarity of said calls is far greater than on a standard 3G / 4G cellular connection. 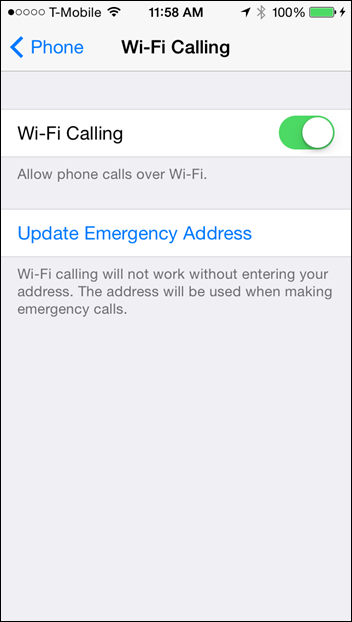 The new feature, which will presumably roll out to a wider audience as we saunter on through the beta cycle, can be activated via Settings > Phone > Wi-Fi Calling, and even though Apple has already introduced some neat features during the course of these first few betas, this is among the most exciting thus far. It’s great news for T-Mobile subscribers and prospective subscribers alike, and should help ease those who may have had some lingering doubts about their overall coverage. 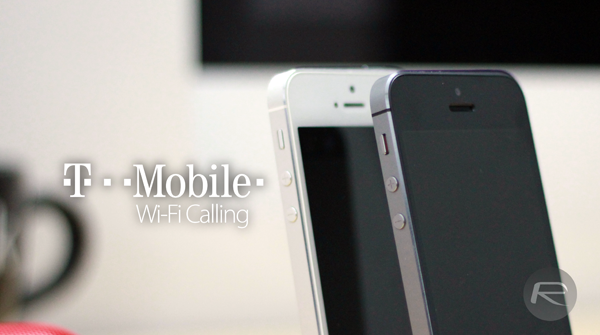 As one of the lesser established carriers – at least, in the U.S. – T-Mo’s network coverage has been called into question on more than one occasion, but with the benefit of Wi-Fi for calling, users will be able to reap the benefits of ubiquitous hotspots. At this point, there’s no word on support for AT&T and the other major network operators in the States, but hopefully, this feature will be available across the board. Aside from the fact that users will be able to hold conversations in places where cellular coverage is nigh-on impossible, those who’ve tested this feature are reporting positively about the overall quality of calls held over Wi-Fi, which is rather encouraging to say the least. Apple made quite a bit of fanfare about the Continuity features it plans to bake into OS X and iOS 8, with users able to make and receive cellular calls on a multitude of different devices besides the iPhone in future, and it’s clear that Tim Cook’s software design team is making a concerted push to improve voice-based communication moving forward. We’re very enthused at the prospect of iOS 8’s arrival, and with a few more betas surely in the pipeline before the software is declared ready for prime time, let’s keep our fingers crossed for some similarly exciting updates over the next few weeks.